Dr. Landino is a Board Certified Family Practice physician since 2002. Originally from Pennsylvania, she attended Bucknell University for her undergraduate degree and then Philadelphia College of Osteopathic Medicine with an early decision admittance. Prior to attending medical school, she worked on a cruise ship and traveled throughout Western Europe. She completed her residency at Phoenix Baptist Hospital and Family Medicine Center and fulfilled her requirements for a National Health Service Corp Scholarship at two community health centers. During this time, she acquired Spanish language skills. Last summer, she traveled to Bagdad, Iraq and provided medical services to a multi-cultural population from all over the world. Most recently, she has been working in urgent care medicine and supervising some medical research based activities. She is looking forward to returning to a primary care environment focused on health and wellness. She has a special interest in weight loss medicine and lifestyle modification. Laura Leal, FNP-BC is a board- certified nurse practitioner. She received her Bachelor of Science in nursing in 2003 specializing in critical care. From there, she earned a Master's of Science in Nursing - Nurse Practitioner degree at Grand Canyon University in 2010. She has been serving the community in a family practice setting since that time. She is currently completing her doctoral studies at Arizona State University. Laura is passionate about family practice and preventative medicine, caring for all ages and populations. She practices patient-centered care which is based on deep respect for patients as unique living beings, and the obligation to care for them on their terms. Laura enjoys biking for fitness, interior design, crafts and religious studies. She lives in Gilbert with her family that includes her husband, two girls, and her two puppies Koda and Zoe. David is a board certified physician assistant. He received his Master of Science in Physician Assistant Studies from A. T. Still University in 2005. His clinical focus is in general internal medicine and family practice. David lives in Gilbert with his wife, son, two dogs, and three cats. His other hobbies include playing city league basketball, tennis, and golf. David is very excited to be joining the Premise Health team and working with the Intel employees and their families. 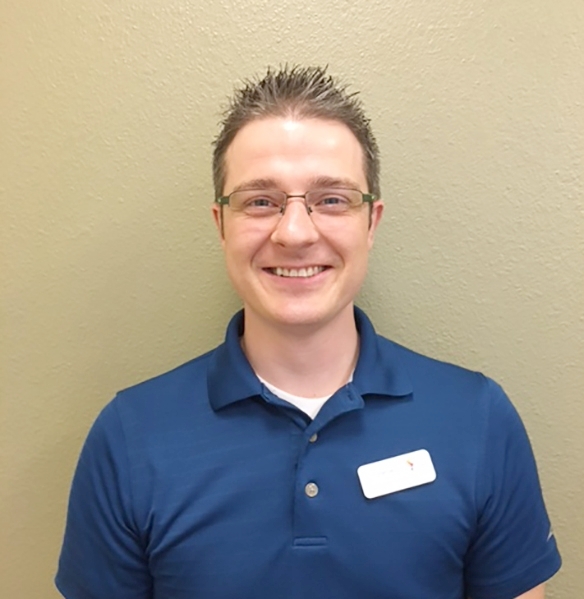 Dr. Jared Pierson was born and raised in Calgary, Alberta, Canada, and is a licensed board certified chiropractor in the State of Arizona. He received his bachelors in human anatomy and physiology and doctoral degree in chiropractic medicine from the University of Western States in Portland, Oregon. His clinical focus is sports medicine and family practice and his philosophy in practice is to always do what’s right for the patient. Here at Premise Health, and the Health for Life Center, he feels better equipped to satisfy that philosophy. He lives in Marana with his wife, Alia, and 4 children: Atreyu, Eowyn, Elora and Arwen. He’s an avid hockey fan and loves to watch and play whenever he can or traveling and spending time with his family. Dr. Maryann Latus completed her undergraduate studies at Arizona State University, earning a Bachelor of Arts degree in Communication. She furthered her education by attending Butler University in Indianapolis where she received a master's degree in School Counseling and finally completed her education with a Doctorate in Counseling Psychology from Indiana State University in Terre Haute. Dr. Latus began her professional career as school counselor and did this for approximately eight years. However, after completing her PhD, she continued in her career as a psychologist and has worked in a private practice setting, in an inpatient psychiatric hospital setting, at the Phoenix VA for several years and as a private contractor as well. Dr. Latus has two grown children that she tries to see as much as possible; she enjoys traveling with her husband and taking care of their two energy filled dogs. Toni Strand, RN has been with the HFLC for over six years. She has a graduate education in Holistic Health and Nutrition, and is a board certified Nutrition and Lifestyle Coach, with additional training in transformational coaching methods. As a retired Lieutenant Colonel in the Army Nurse Corps and former ICU nurse, Toni learned that life can change on a dime. She believes the time is now to feel good in your skin, believe in you, create more energy and vitality and live the life of your dreams. She co-creates customized roadmaps to health for people that suit their unique body, lifestyle, preferences and goals. Anna Richards has been the Health Center Concierge since April 2017. Prior to joining the Premise Health team, she worked in the Aviation Industry for 19 years as an Aircraft Planning coordinator where she assisted in scheduling routine and emergency aircraft maintenance while creating the least impact to the airline route schedules. For the last 9 years, she transitioned into the Aviation Medical field. She was employed by an international travel assistance company where she coordinated and assisted her clients worldwide in locating and scheduling appropriate emergent and non-emergent medical arrangements internationally. Her multi-culture experiences and knowledge make her an important member of the Premise Health Team. Dr. Frieband received his Bachelor of Science degree from the University of Arizona, his medical degree from University of Medicine and Dentistry of New Jersey-School of Osteopathic Medicine, he completed a rotating internship at Atlantic City Medical Center in Atlantic City, NJ, and he completed a family practice residency at Memorial Hospital in York, PA. He received a Master's of Science degree in Medical Informatics from the Arizona School of Health Sciences and he is board certified in family practice. Expertise and interest in the use of and integration of computers in medicine to improve both the health of the individual patient and groups of patient populations, Dr. Frieband is dedicated to the patient centered medical home model of health care, while at the same time always focusing on the needs of the individual patient. He is always striving to make the health care experience simpler, better, higher quality, and more satisfying for both patients and doctors alike. He has worked in a variety of practice settings including solo practice, community health, rural health, hospital system and large group practices. Outside of the office, he enjoys computer programming, web site design and development, sports, music, and travel. 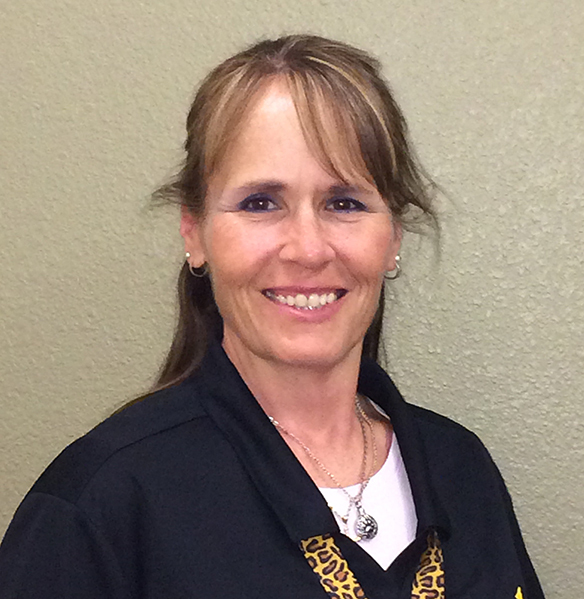 Shari Castle has been a registered nurse for 17 years, and is board certified in Ambulatory Care Nursing. Throughout her nursing career, she has focused her practice in the urgent care and internal medicine settings. Shari joined Premise Health as the Health Center Manager for the Intel Arizona sites in 2013. She and her Husband of 31 years have two grown children who live in Michigan. During her time away from the office, Shari enjoys traveling to Michigan to visit her kids and family along with caring for their 7 husky rescues at her home in Arizona. The office manager at the Health for Life Centers assists in the everyday operations of the health center, with direct focus on front desk operations, billing, privacy and customer service. Erica can help you with any scheduling, billing or customer service concerns that you may have. She can also help you understand how your insurance plan works with the Health for Life Center resources. Erica has been with the Health for Life Centers at Intel since the implementation in September 2008.